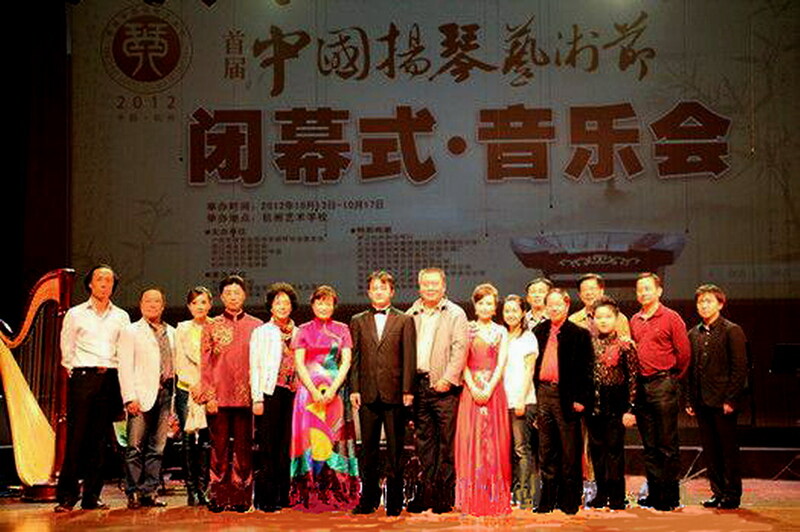 The First China Yangqin Festival, sponsored by the Yangqin Association of China Nationalities Orchestra Society (CNOS), Zhejiang Branch of CNOS and Zhejiang Musicians Association, was held on October 13-17, 2012, inHangzhou,China. 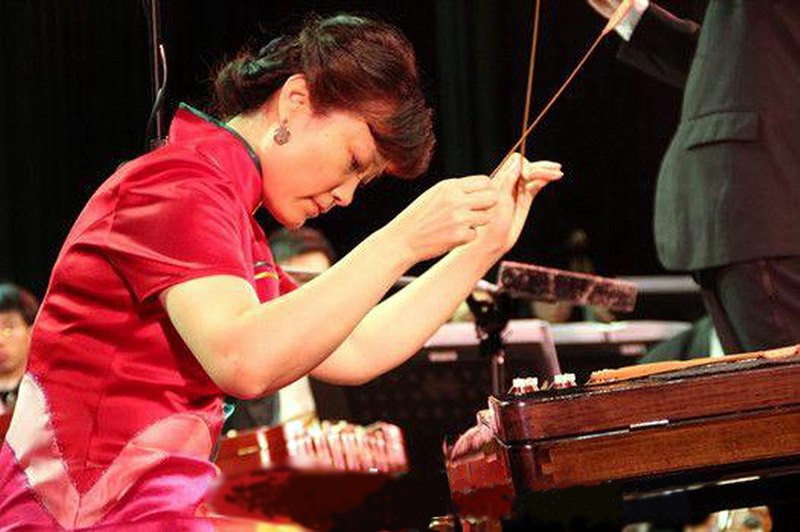 Well-known yangqin players, educators, composers and theorists from acrossChinaand overseas attended the festival. The program included the opening concert, a yangqin contest, the Seventh Annual Yangqin Convention with Yangqin Forum and the closing concert. 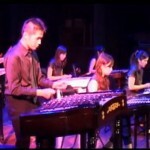 The festival opened on October 13 at the theatre of Hangzhou Arts School. 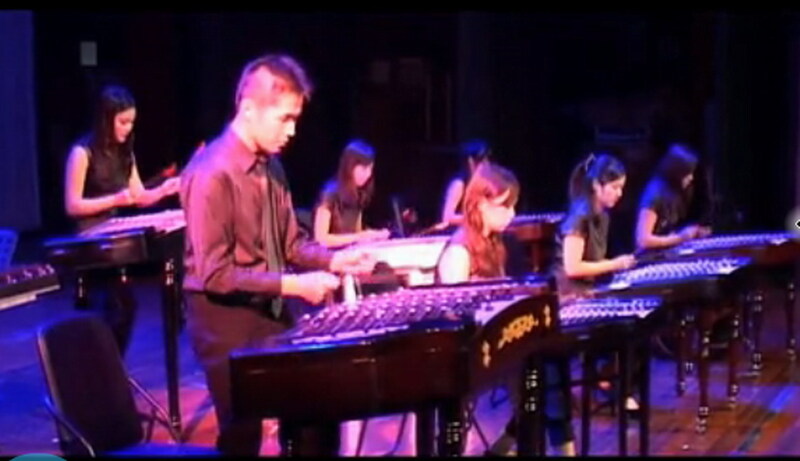 A “southChinasilk and bamboo” ensemble by teachers ofHangzhouArtsSchooland a three-piece performance by a yangqin group fromTaiwanwere presented among others at the opening concert. The contest was held on October 13-15. Over 500 players, including teachers and students from the nine major conservatories inChinaand other arts schools, and anumber of amateur players, took part in the contest which was divided into 9 professional and 4 amateur categories. The jury was composed of 48 experts fromHong Kong,Macao,Taiwan,SingaporeandMalaysiaas well as from mainlandChina. The convention took place on October 16. 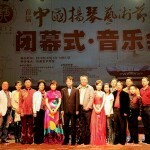 Among the attendees were Mr. Huang He, President of the Yangqin Association of CNOS, Ms. Li Lingling and Mr. Xu Xuedong, both Vice Presidents of the Association, and Mr. Wen Chigeng, President of Zhejiang Musicians Association and Mr. Lu Zhuyin, President of Zhejing Nationalities Orchestra Society. Mr. Huang He, Ms. Li Lingling who is also Vice President of CWA, Mr. Zhou Yuguo, well-known composer and Ms. Zhao Yanfang, head of Fujian Yangqin Association and others gave talks at the forum on trends and issues in yangqin development, artistic creation, instrumental innovation and teaching methods and practices. Ms. Liu Fangmei from Taiwan Yangqin Association spoke about preparations for the 12th Yangqin World Congress to be held inTaiwan in 2013. 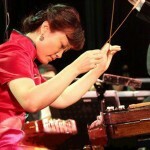 The closing concert on October 17 featured performances by winners of all the categories of the contest and four yangqin and symphony orchestra concertos respectively by Piao Wenlin (Rhapsody), Wang Yujue (Spring), Xu Xuedong (Yao Mountain at Night) and Li Lingling (Lin Chong Flees at Night) with Hangzhou Symphony Orchestra. With a total of more than 800 persons participating and all its purposes fulfilled, the festival was very successful and fruitful which contributed to the development of the art of yangqin.